Enjoy the full social experience including the drive. Lunch Drive Windsor to Wentworth Falls via Mount Tomah Gardens. Starting point McDonalds Windsor, Cnr Groves Ave and Windsor Rd, Windsor. Note: Restaurant Bookings 70 Max. Drive Only Option will remain open until the 16th October. 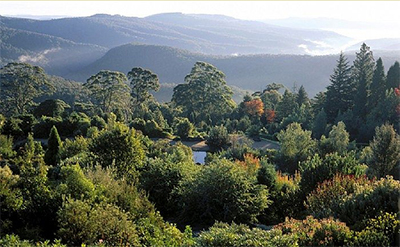 Come and enjoy a pleasant 150Km Drive offering everything, fantastic Porsche driving Bells Line of Road, stunning coffee stop at Mount Tomah Botanical Gardens, where you will have adequate time to relax and enjoy a walk throughout these beautiful gardens. From there we will continue along Bells Line of Road to Lithgow, before enjoying a drive to Wentworth Falls via Mount Victoria, Blackheath, and Katoomba. End destination is Wentworth Falls where you will indulge in a delicious lunch at one of the Blue Mountains famous Restaurants Nineteen23.